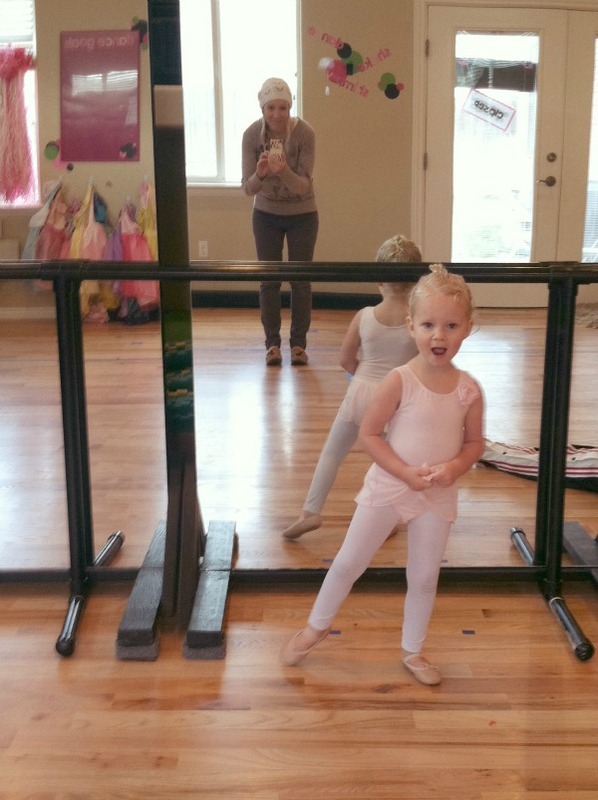 As I mentioned earlier, LM started taking dance classes this Fall and I am not sure there is anything sweeter than little girls with top knots and tutus standing on their tippy toes. She loves her class, her teacher, and all of her new friends. Every week I take her picture before it's time to leave and as the weeks go by her ballerina poses just keep getting better and better. She always wears a coat or sweater to keep warm, and her rain boots over her ballet slippers to keep them nice. 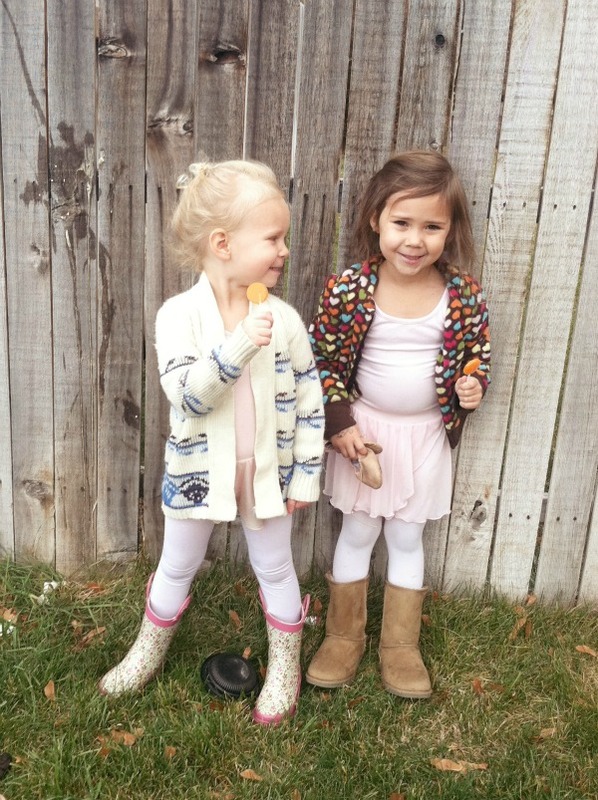 This week she wore a new-to-us vintage cardigan I got from Little Reader Vintage. If this were my size I would totally wear it, but since it is mini I think it is even cuter - what is it about small versions of things? I usually don't stick around during her class, but I've seen the dances and tumbling they do and it is every three-year-old girl's dream. I'm so glad she enjoys dancing and that we have something so fun to look forward to each week during these cold weather months! 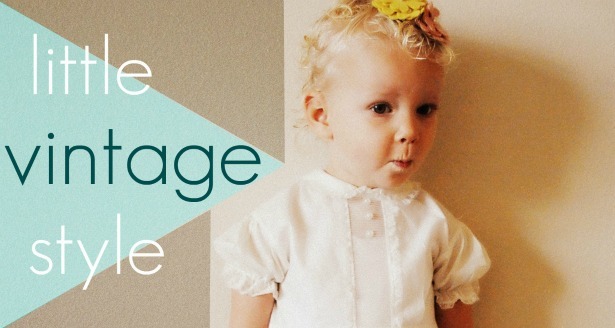 If you'd like, grab a button on the side bar and link up below! oh my, so, so sweet! She is adorable! 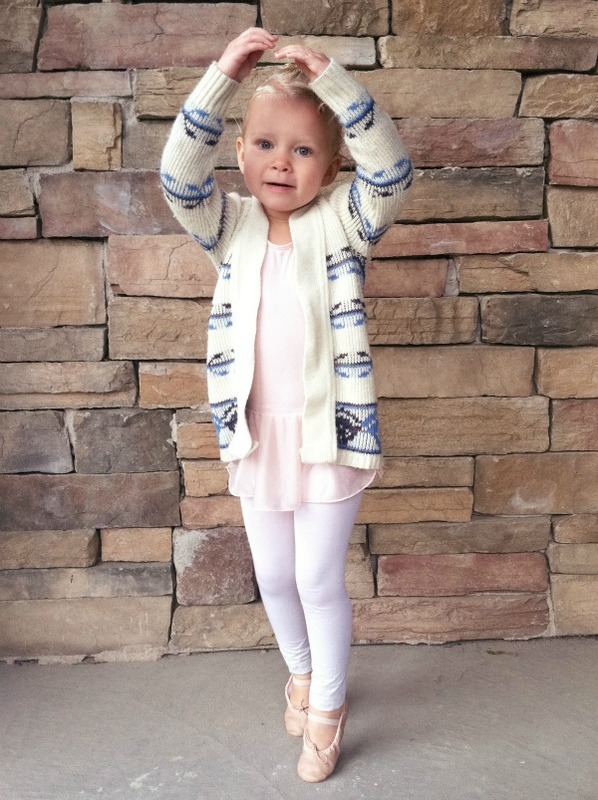 I can't wait to sign my little Avery up for dance! oh she is so SO pretty! oh man, it seems like she was just a teeny baby! 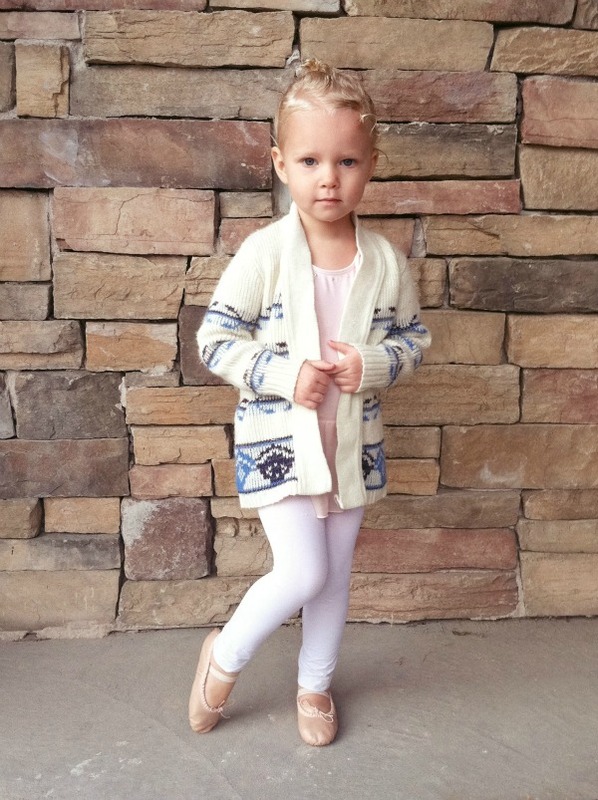 i keep telling penelope she better not grow up so fast but it's still happening... and she is most definitely going to take ballet. so darling! looove the sweater with the leo!! She looks so cute in class but my favourite is with the rain boots and sweater. I would totally wear that in my size too. So gorgeous, as always Stacy. I wonder whether my little Ivy will be into ballet, must be so cute to watch. I love your latest shop update, you have some absolute treasures in there. So sweet and cute. She couldn't look happier!